The WB‘s epic teen drama Dawson’s Creek helped define late ’90s/early ’00s television, and what it meant to be a teen at the turn of the century. For six seasons the television series captivated its audience with the coast-side coming of age tale. The shows stars James Van Der Beek, Katie Holmes, Joshua Jackson and Michelle Williams have all gone on to have extremely successful careers in both film and television. However, they aren’t the only stars who have seen major success after appearing on the Creek. Here are 9 stars that you forgot were on Dawson’s Creek. Jane Lynch played Pacey’s super religious mother who helped make his birthday extremely miserable. Yes, Olivia Pope’s Jake Ballard was also on Dawson’s Creek, before he was on Felicity. Scott Foley played Cliff, Jen’s hunky boyfriend who Dawson hated with a passion. Before Bianca Lawson was the other slayer on Buffy the Vampire Slayer and before she played a teenager for the last twenty years, she played Nikki Green an aspiring filmmaker who befriends Dawson. This Supernatural star played CJ, Jen’s college boyfriend who turns out to be a really, really crappy guy. Rogen didn’t appear on Dawson’s Creek until it was nearly over. However, his role was rather memorable. He played Bob, a pot head who rides with Joey and her friends to LA. Needless to say it was a rough ride. Though Bowen is known now for her amazing role on Modern Family, she once appeared on Dawson’s Creek as Dawson’s super cool Aunt Gwen. She’s the person who first discovered Pacey and Joey’s secret relationship. Before he was Lucas Scott, this One Tree Hill alum played Charlie, a hottie who dated both Jen and Joey and ultimately ended up cheating on both of them. His OTH co-star Hilarie Burton also appeared on the Creek once. 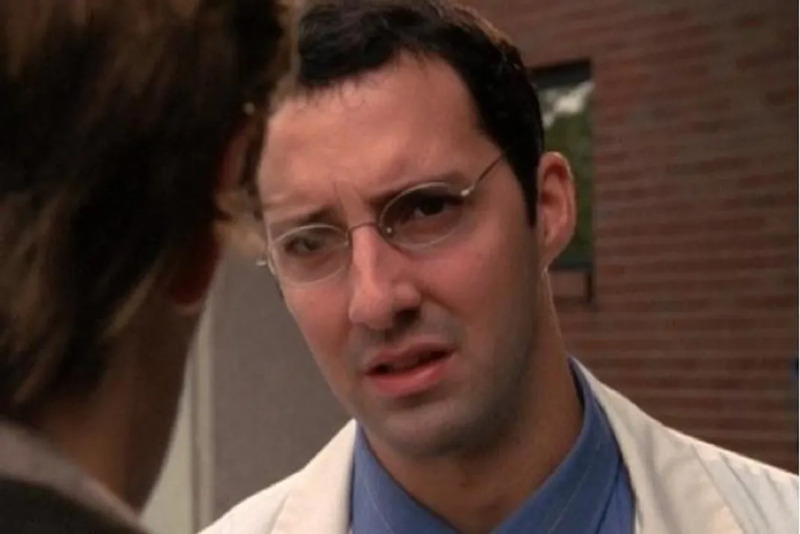 Though he’s adored now for his work on Arrested Development and Veep, Tony Hale once played a Doctor on Dawson’s Creek who gave Dawson some really awful news. Before he was a gangster on Bordwalk Empire, Pitt (who could pass for Leonardo DiCaprio’s brother) played Henry, Jen’s younger boyfriend.